Quest for the Arab Startup Formula: The art of taking a car apart! A quest for the Arab Startup Formula - what does it take to create the most successful startups in the Arab Region? I work at EcommerceSea startup in Riyadh, trying to create the Home for Modern Saudi Fashion at Vanilla.sa - a platform for designers, manufacturers, and products that have a global appeal with an Arabic character. The art of taking a car apart! 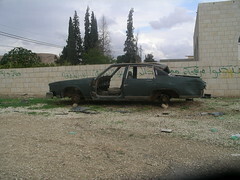 We found this car in Shoneh. It has been STRIPPED TO THE BONES! what else could happen, you may ask!? 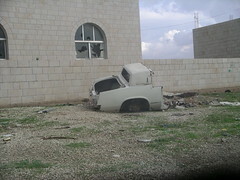 I have a house in [aljofa] in shoneh the keep smash my windows. Book Review "Next 100 Years"
Ugly people are Criminals, more often!? Fibonacci Numbers are for Rabbits!!! Marco on Magic and Weird Hospitality! What is so great about this pic? Picture Window theme. Theme images by piskunov. Powered by Blogger.